This was one of the last entries in the line of 8-bit computers by Atari & was designed to look more like a videogame system to compete with the Nintendo Entertainment System. The light gun produced for for the XE, the XG-1, is also the only light gun compatible with the Atari 7800 or 2600. The whole turn a video game system into a computer or turn a computer into a video game system failed every time it was tried. It was tried a lot. I still think the idea was sound enough in the 8-bit era, it’s just that the execution was always poor. In 1982 the Atari 5200 was released. It was essentially an Atari 400 in disguise without keyboard or other computer peripherals. It made for a powerful video game system in 1982 terrible unreliable controllers, a high price, and lack of innovative software limited its appeal. In 1983 it was the Coleco Adam. At its heart it was a ColecoVision video game system. It could have made a great computer and hopes were high when it was announced. However, poor decisions like powering the system through the printer and using a custom stringy tape format for data storage in addition to a high failure rate doomed this system before it ever had a chance. In 1990 Commodore released the Commodore 64GS in Europe. It was just a Commodore 64 in game system clothing. However, 1990 was way, way too late for this idea to work. Anybody that wanted a Commodore 64 already had one anyway. Had they done this around the time the NES was release maybe it could have been a contender. Commodore tried again in 1991 with the CDTV. This was really a multimedia appliance that a game system strictly speaking but internally it was an Amiga 500. The whole multimedia appliance thing never really worked out for anybody until the PS3. It wasn’t advertised as such but with Netflix, Amazon Prime, Blue-Ray support and other online services it basically accomplishes what systems like the CDTV and Philips CD-i set out to do years before. Not daunted by its failures, Commodore would try one more time with the Amiga CD32. This was a CD-based game system designed around the Amiga 1200. The CD32 was released initially in Europe then in Canada and a U.S. release was planned shortly thereafter. Because of money Commodore owed on a patent and their bankruptcy, an official U.S. release never happened. The CD32 probably had the most potential out of all the systems mentioned here. It was the first fully 32-bit game system and sold very well in Europe to the point where Commodore could not keep up with demand. Because of Commodore’s bankruptcy we’ll never know how well it could have done. Pictured above we have Atari’s final attempt at a game system based on a computer, the Atari XEGS. It was released in 1987 and was basically an Atari 65XE internally. It was compatible with cartridge based games previously released for the Atari 8-bit line of computers so at least that part was done right. While it was a reasonably capable game system for its time, Atari’s marketing strategy was abysmal. First of all, Atari was also marketing the Atari 7800 system at the same time. The Atari 7800, except for its sound capabilities, was superior to the XEGS. For that matter, Atari was still also marketing the Atari 2600. No doubt this division of effort did not help matters and multiple incompatible machines probably confused many potential customers. 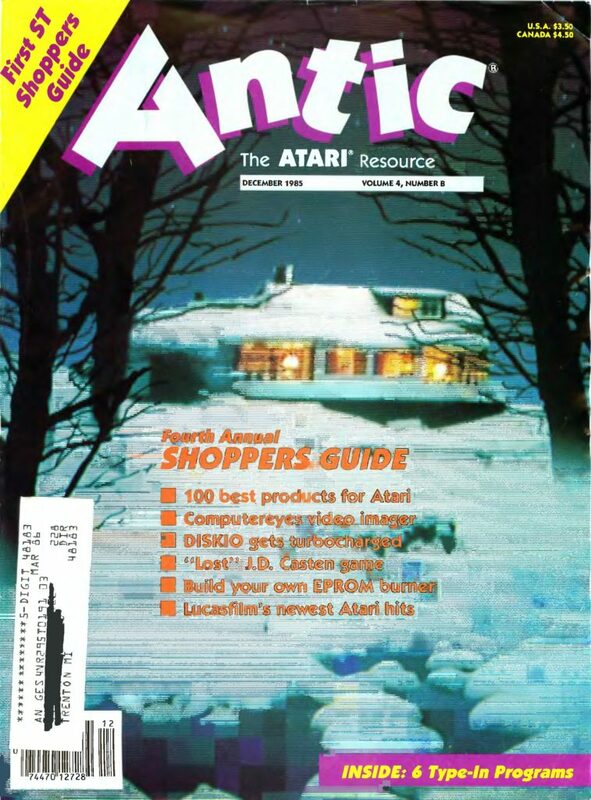 Then there was the same problem Atari had with every system newer than the Atari 2600. Lack of innovative software. Atari always relied too much on re-releasing classics from the good old days instead of developing new innovative games. Because Nintendo had a virtual monopoly on third part support due to its restrictive licensing agreements, that meant you didn’t have much to choose from on Atari systems, including the XEGS. Having said all that, the XEGS actually had a successful launch. All 100,000 systems that were produced for the Christmas season launch were sold. Atari just couldn’t follow through with desirable software. 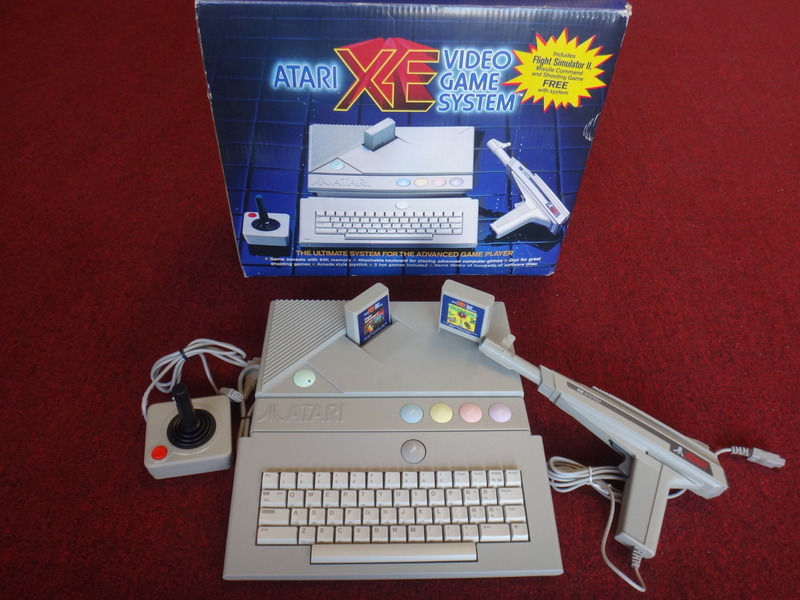 Plus two joystick ports, optional keyboard, disk drive and light gun. Crossbow is an arcade game developed by Exidy and released in 1983. In 1987, it was ported to the Atari 2600, Atari 7800, Atari XEGS and the Commodore 64. This is probably the first light-gun (or light-crossbow in this case) game that I ever played. My local roller skating rink had one circa 1985. 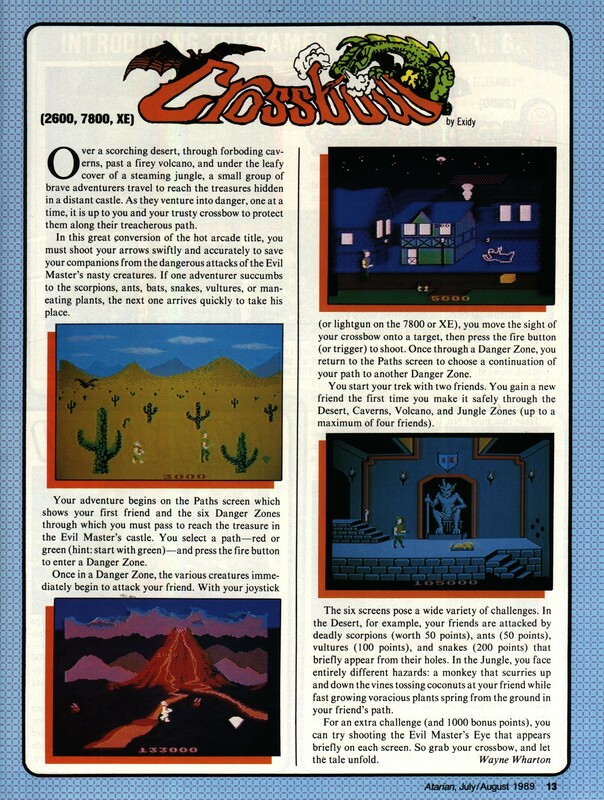 The above review (really more of a summary or even advertisement) is from the July/August 1989 issue of Atarian. It isn’t surprising that Atarian didn’t last very long. They were always reviewing or printing other editorial content about years old games as if they were new. In this case we are talking about an arcade game that was released in 1983, ported to various home systems in ’87 and Atarian is treating it as if it were a new release in the Summer of ’89. Having said that, even though the game was a bit dated, the home versions were decent enough, particularly if you were using the light-gun on the Atari 7800 and XE versions. I remember the arcade version the best and will never forget the “Don’t shoot your friends!” announcement you would get when you accidentally shot those you were escorting… The point of the game was to lead a group of adventurers through various locations, shooting anything that was out to harm them. Those you were defending would walk slowly across the screen depending on your protection. It was non-linear in the sense that you could choose your own path to a limited degree and the difficulty depended on the path you chose. This game can be played with a joystick but for best results, use an Atari 7800 or XE system with a light gun.